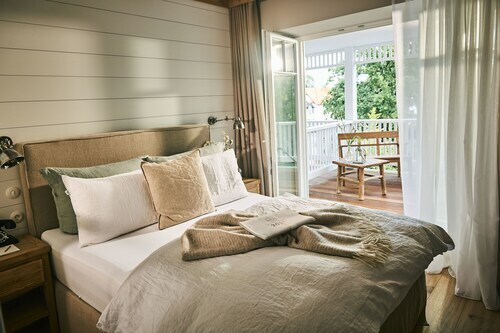 Expedia has some outstanding Luschendorf package deals Bundling your bookings is one of the easiest ways to save money and time — and get your journey off on the right foot. If you book a package deal on Expedia, you can save up to C$590*. You won't need to click around a bunch of different websites for your travel bookings. With more than 400 partner airlines and 321,000 properties worldwide, our expansive database has all that you need. 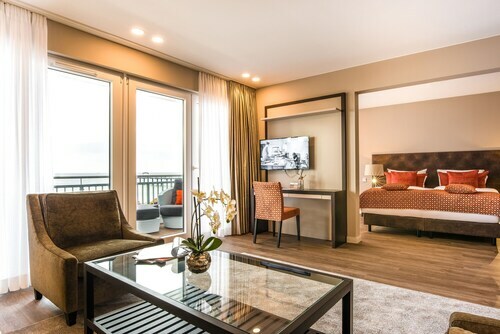 You can delay your vacation reservations with us because we don't charge cancellation fees for almost all of our bookings. It can be quite nice to just wander the streets when you're in a new place, but sometimes it's a good idea to form a plan. Grab your travel program — we have some excellent ideas for your upcoming Luschendorf vacation. Whether you're aiming to beat par or simply in the mood to practice your swing, you'll have a ball (pun intended) at Seeschlosschen Timmendorfer Strand Golf Course. There's an excellent range of things to do in and around this destination. We're all crazy about our feathery and furry friends, but how about hanging out with those who are a bit more scaly and slippery? Encounter a few of the most interesting residents of the aquatic world at SEA LIFE Timmendorfer Strand. Still got time to spare? 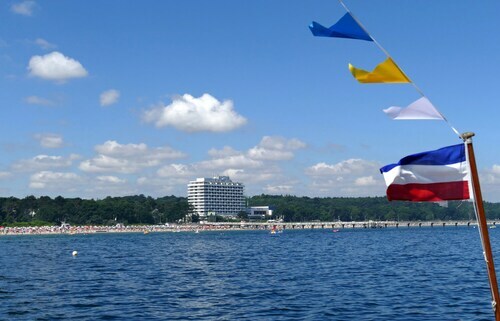 Whether you're a serious swimmer or you just love a paddle, spend some time at Ostsee Therme Scharbeutz. You can chill out and have fun in the water, no matter your talents. 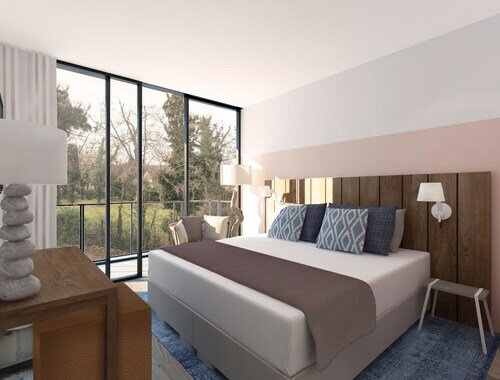 Searching for cheap vacations and luxury getaways in Luschendorf? Sadly, accommodations are scarce. But, if you don't mind commuting slightly further out, you'll discover there are as many as 24 options close by. 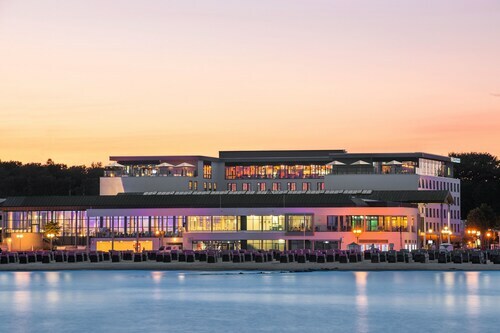 If you're having difficulty deciding where to stay, make sure you check out the Grand Hotel Seeschlösschen SPA & Golf Resort (Strandallee 141) and the Maritim Seehotel Timmendorfer Strand (Strandallee 73). Organizing a flight into Hamburg Airport (HAM) is the simplest choice for most visitors. Once you disembark, you're only 40 miles (64 km) from Luschendorf. The staff was friendly and simply fantastic. Location was cool...food was super! Wonderful beach front hotel. Wonderful beach front location. 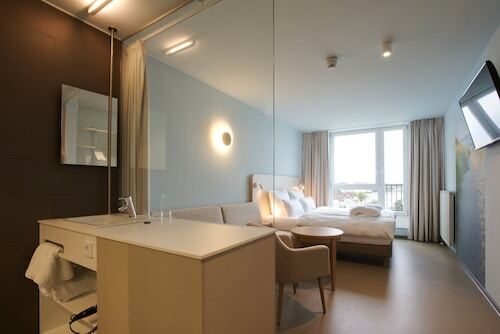 Tolles hotel.nettes personal. Beim buffet abends würde es toll sein wen für kinder die klassiker wie pommes,nudeln,nuggets oder fischstäbchen da wären. Sonst alles tip top. 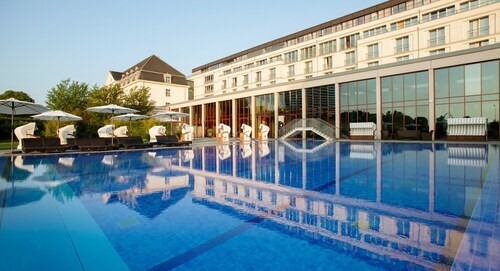 The hotel is well situated and has a lovely spa. The staff was just ok. The room is starting to look a little dated. Overall I enjoyed my stay. Mon., 19 Aug. - Wed., 28 Aug. Tue., 6 Aug. - Thu., 8 Aug.